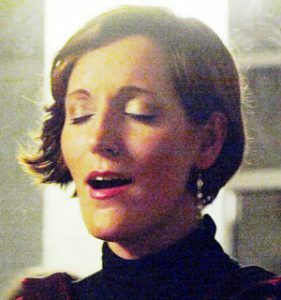 Born in Cádiz (Spain) in 1977, she started her music career at Orense’s Conservatory of Music where, in 1991, she discovered one of her biggest passions: singing. Besides her music studies (music theory, singing and piano) in the north of Spain, she graduated in translation and interpreting from the University of Granada in 2000 and speaks seven different languages. Among her noteworthy concerts are: the recording of José García Román’s Stabat Mater for the Spanish national radio (Granada, 1995); Mozart’s Magic Flute at Granada’s renowned International Festival of Music and Dance (2000); cooperations with La Danserye in the Ecos del Templo y de la Corte (Echos of Temples and Courts) series of concerts around Andalusia (2006); or being in charge of the closing performance as a soloist at UNESCO’s conference on Education for the Third Millenium (Malaga, March 2013). She is currently involved in diverse music projects and works as a teacher training organiser at the Teachers’ Centre in Malaga. She lives in Malaga with her husband and two children.